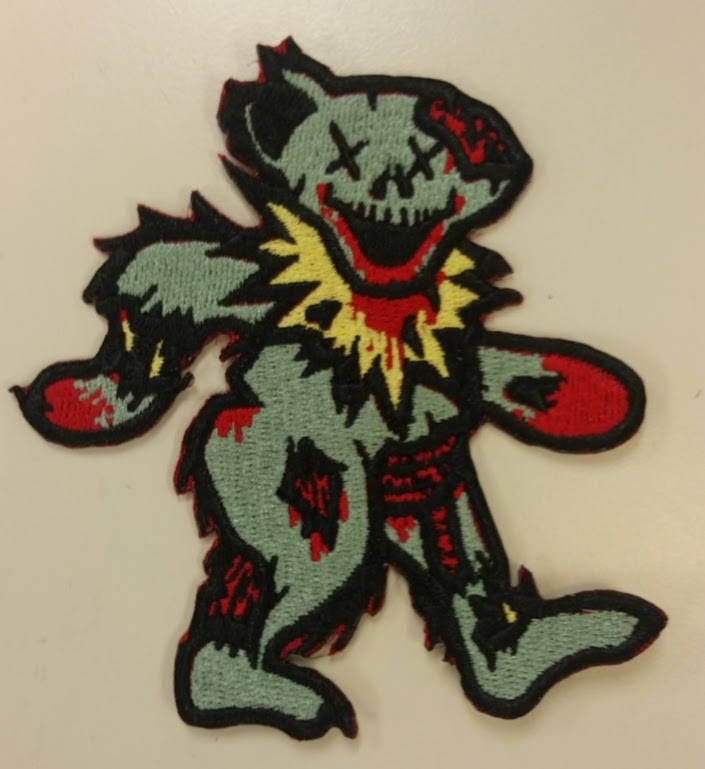 This mish mash patch of the Grateful Dead bear and zombies is super cute and would add flair to your jacket, bag, or any other apparel. It has an iron on adhesive to assist with easier application. 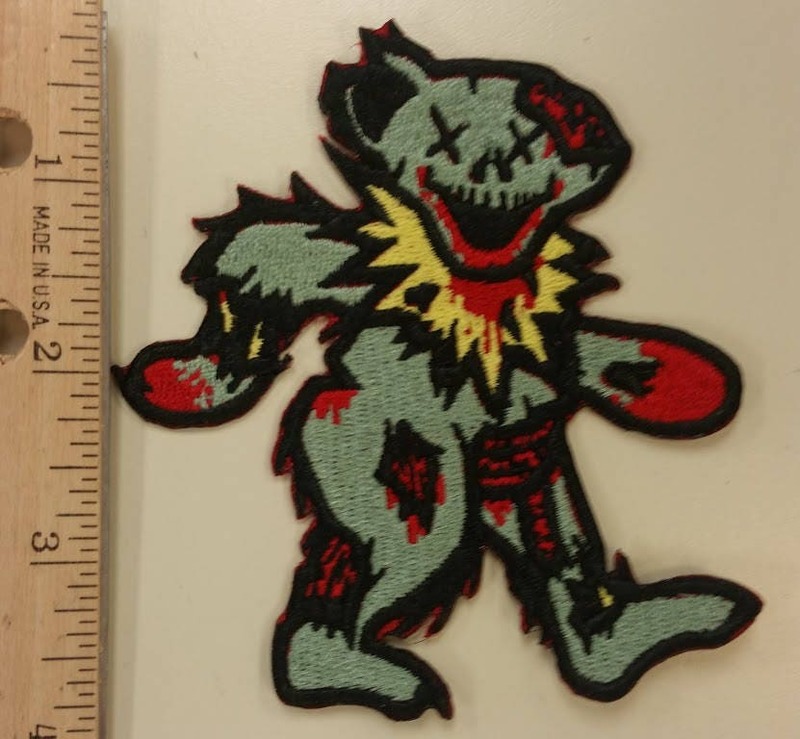 It measures approximately 3.5"W X 4"H. It is sewn with kiwi green, red, yellow, and black thread. 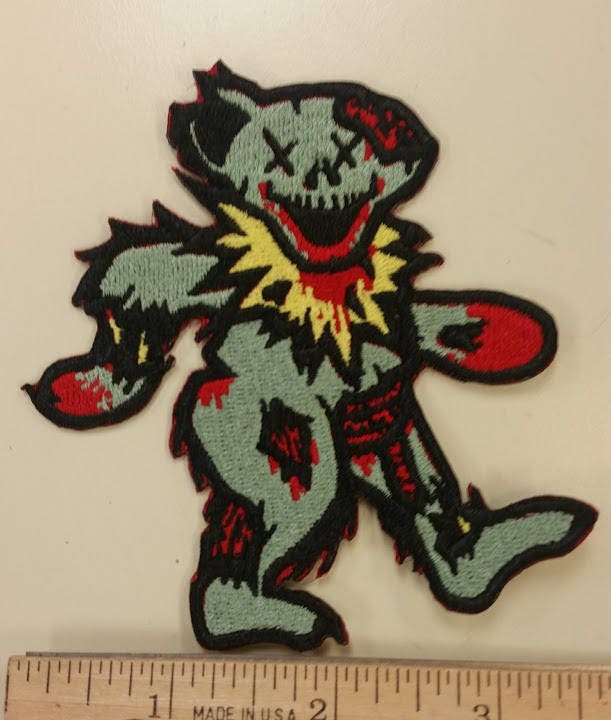 Looks exactly like the picture, and it is very well made .